The Great North Museum: Hancock was purpose built in Newcastle as a natural history museum in 1884 to house the growing collections of the Natural History Society of Northumbria. Noted Newcastle born ornithologist and trailblazing taxidermist John Hancock was instrumental in securing funds for the museum. When he died in 1890 the museum, briefly called the New Museum of Natural History, was renamed the Hancock Museum. John Hancock donated his prolific collection of British birds to the museum, many of which are in the museum today. 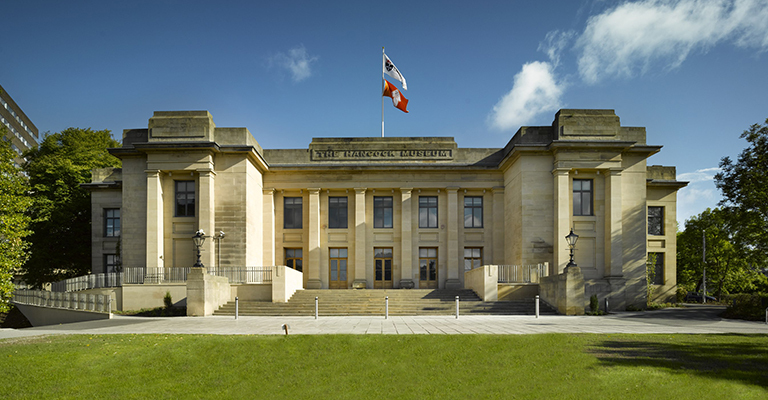 Following a £26million redevelopment in 2009, (when the Hancock Museum merged with the Museum of Antiquities and the Shefton Museum), the Great North Museum: Hancock is now a popular free family destination with a varying programme of exhibitions, expert talks, courses and activities for children. It is managed by Tyne & Wear Archives & Museums on behalf of Newcastle University. The Living Planet gallery spans the ground and first floor of the museum and tells the story of wildlife and habitats. It also features live animal tanks and aquaria. Also on the ground floor, the Hadrian’s Wall gallery enables visitors to discover the detailed history of the World Heritage Site as well as finding out about all the forts, milecastles and associated museums that can be visited today. The gallery includes a wealth of archaeological finds from across the 73 mile stretch of Hadrian’s Wall. The Mouse House, near the entrance of the Museum, is especially for Under 5s and there are regular activities for younger visitors in this space. See what’s on for details. Also on the ground floor is Fossil Stories, which uses fossils show major changes to the landscape and the animals and plants that were around millions of years ago. It also features a T.rex replica skeleton. On the first floor of the Museum visitors can discover the world of the Ancient Egyptians – including two mummies – and marvel at important collections of Greek and Etruscan art and archaeology. Natural Northumbria uncovers what is special about the North East of England’s animals and plants exploring woodlands, uplands, lowlands, and coastal areas. World Cultures showcases objects in the Museum collections from across the world including the Islands of the Pacific, the great land masses of Africa and Asia, the plains of North America, as well some parts of Europe (including Newcastle, of course! ).